CHRIST THE CENTRE OF THE BIBLE. Luke. Luke - to the Greeks, revealing Jesus as a Man and Priest. The writer of this aspect of Jesus is a doctor, Dr. Luke. He was an educated man and a keen observer. He wrote this account by the Holy Spirit revealing Jesus as the perfect Man to the Greeks. The Greeks possessed a wider culture, loved beauty and philosophy. Luke being a Greek himself, would be well fitted for presenting Jesus as the ideal of perfect manliness. In Luke`s account we see God manifest in the flesh. Luke deals with the humanity of Jesus, a man with all His sympathies, feelings and growing powers. Here we see the glory of God coming down to our level, entering into our conditions, and being subject to our circumstances. Luke gives the fullest particulars concerning the miraculous birth of Jesus and that testimony is from a physician. He tells of Jesus as a boy, subject to his parents, in the temple and working with his hands. Luke also shows how Jesus is touched with the feelings of people`s infirmities. He touched the man full of leprosy. He touched the bier of the dead young man. He touched the ear of the servant of the high priest. He knows the grief of a wounded spirit. He comprehends the sorrow of a bereaved soul. He weighs the burden of a broken heart. He feels the solitude of the leper`s loneliness. He regards the distressing circumstances of the poor widow. He senses the tragedy of a disabled body, whether lameness, deafness, blindness or dumbness. 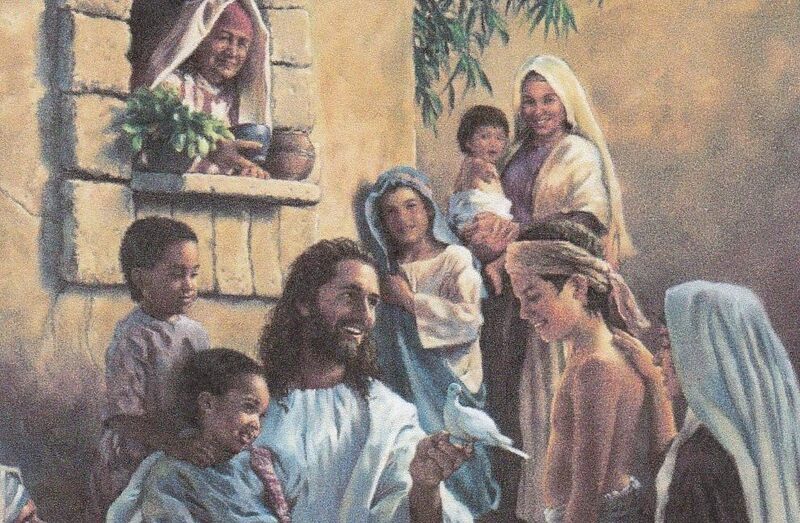 These and many more demonstrations show Jesus` infinite tenderness and compassion as the sympathetic Priest who came to unveil the very heart of God with all His kindly love. The words `redeemed & redemption` do not occur in Matthew or Mark, but appear in Luke for the first time in the New Testament. Jesus never allowed the law to prevent His gracious ministry. How can there be a law against His activities of love? As a priest He represented mankind before God, therefore prejudice toward caste, race, nation, class or gender, could not find a place in His heart. Previous entry CHRIST THE CENTRE OF THE BIBLE. Mark. Next entry CHRIST THE CENTRE OF THE BIBLE. John. A thought has just struck me why weren’t the disciples writing an account. Did any of them write an account? Yes some of the (12) disciples wrote an account of Jesus manifested on earth - Matthew, (the tax collector), & John (the beloved). Then we have James and Peter writing letters further on in the Bible. Good thought there sis, Marilyn. You are right on all, as they are one and the same - John the beloved. Looking at what he wrote in all those `books` he was given a very deep understanding of the Lord, by the Holy Spirit. So glad you make these comments, as other people would be thinking the same. 0h thanks Marilyn as i have been backward forwards and round and around with this and then just let it go lol!